Are you in the mood for a spontaneous garden party? Well, then it might be a good thing to have some paper napkins handy. 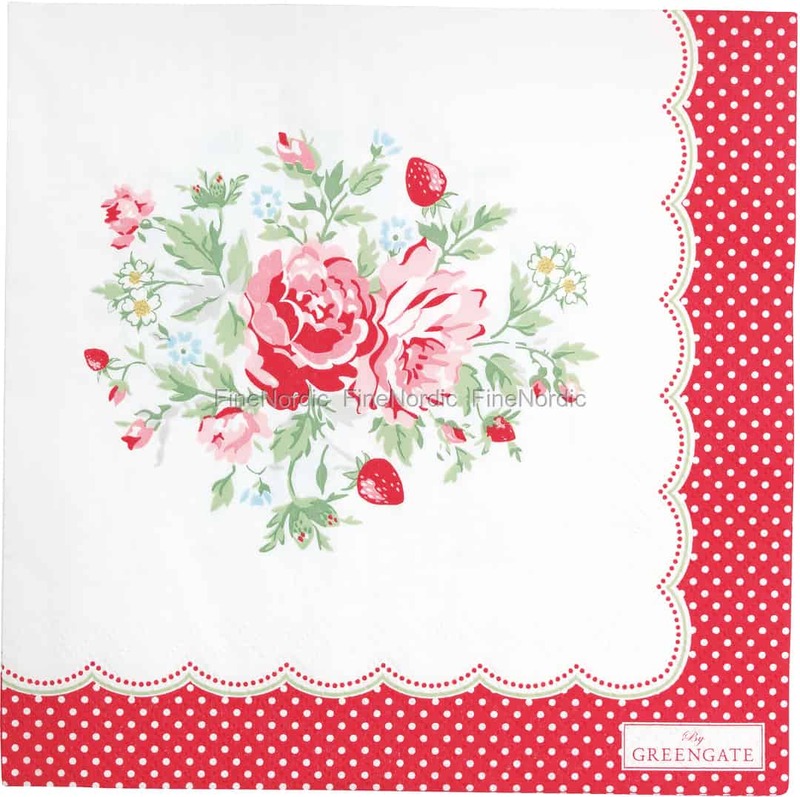 The lovely Mary White Large Paper Napkin by GreenGate comes in a pack of 20 and its beautiful rose and strawberry pattern will surely charm your guests. These napkins can also be used at birthdays, at a tea party, at a BBQ with friends and whatever other special occasions might be coming up. They will stand out next to single-colored tableware and match the GreenGate Mary White dishes. Set the table just to your liking, and we are sure your guests will be thrilled with the ultimate result.